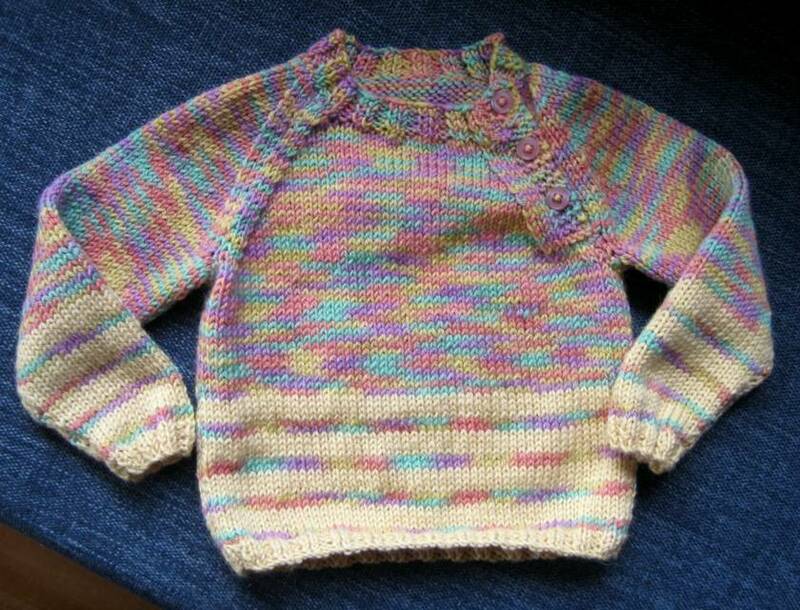 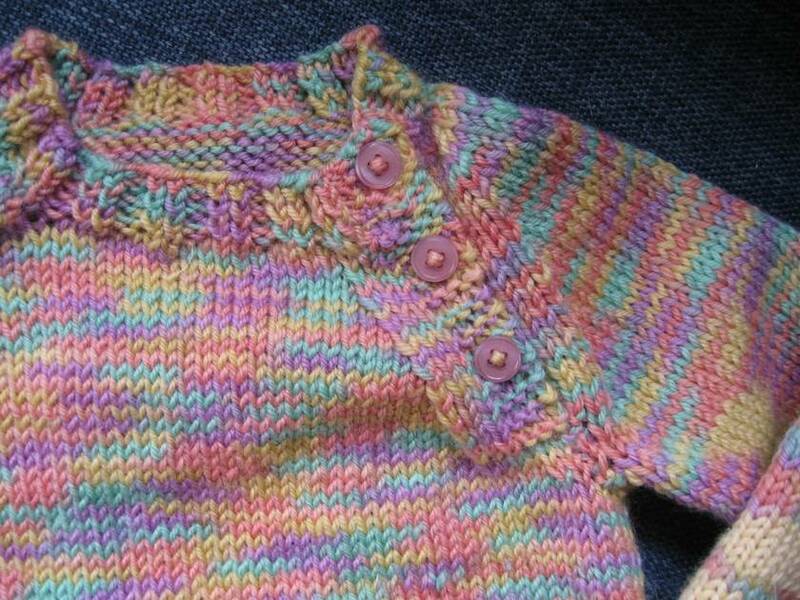 This multi couloured and striped jumper is ideal for a little one- not fussy, with buttons on raglan neck edge making it easy for putting on and off.lThe bright colours are also very appealing. 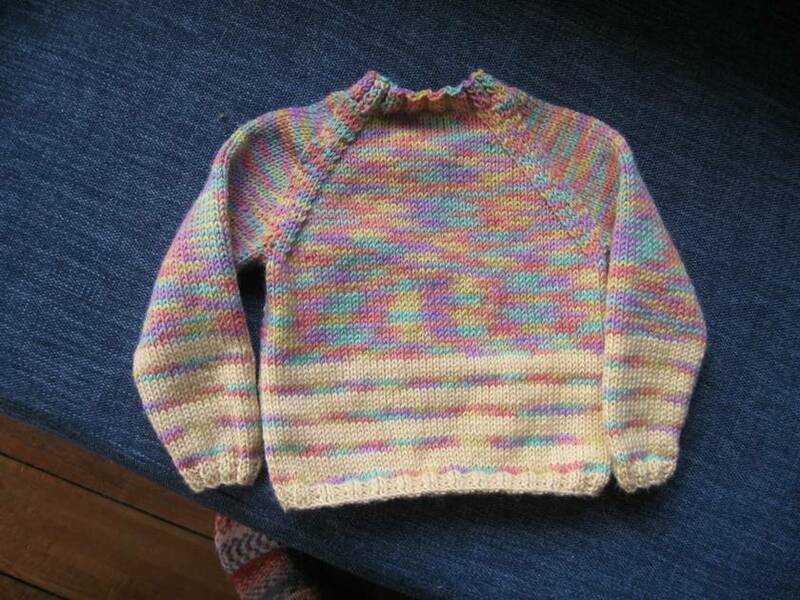 It will fit a 20: chest (51cm ), approx 1-2 years. 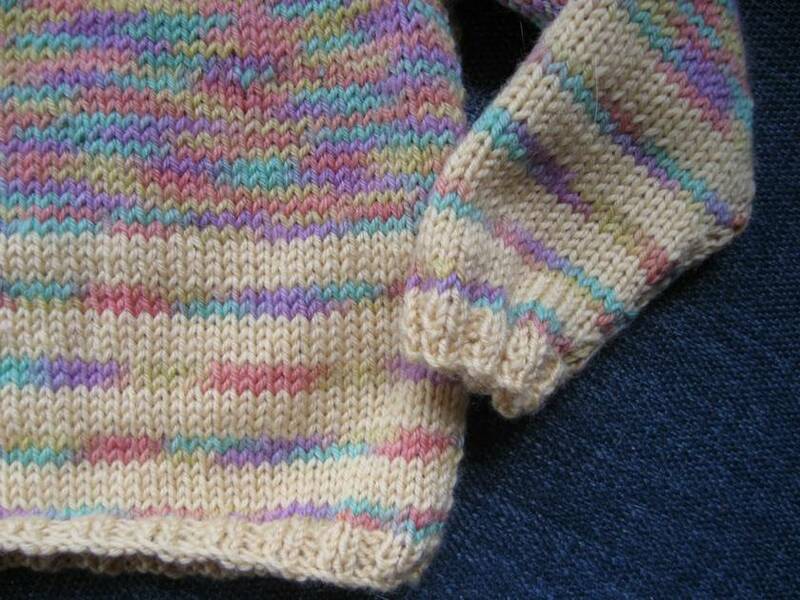 Knitted in pure 100% wool, it will need a gentle machine wash or to be washed by hand.